While many on the left know that Washington has spent tens of millions of dollars funding groups that oppose Venezuelan President Hugo Chavez, less well known is Ottawa’s role, especially that of the Canadian government’s “arms-length” human rights organization, Rights & Democracy (R&D). Latulippe’s claims have no basis in reality. On top of improving living conditions for the country’s poor, the Chavez-led government has massively increased democratic space through community councils, new political parties and worker cooperatives. They have also won a dozen elections/referendums over the past twelve years (and lost only one). The Harper government’s attacks against Venezuela are part of its campaign against the region’s progressive forces. 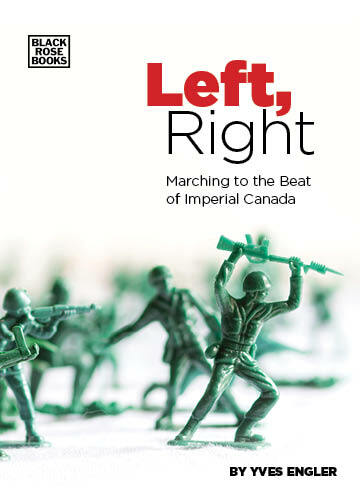 Barely discussed in the media, the Harper government’s shift of aid from Africa to Latin America was largely designed to stunt Latin America’s recent rejection of neo-liberalism and U.S. dependence by supporting the region’s right-wing governments and movements. To combat independent-minded, socialist-oriented governments and movements Harper’s Conservatives have “played a more active role in supporting U.S. ideologically-driven [democracy promotion] initiatives,” notes researcher Neil A. Burron. They opened a South America focused “democracy promotion” centre at the Canadian Embassy in Peru. Staffed by two diplomats, this secretive venture may clash with the Organization of American States’ non-intervention clause. The foremost researcher on U.S. funding to the anti-Chavez opposition, Eva Golinger, claims Canadian groups are playing a growing role in Venezuela and according to a May 2010 report from Spanish NGO Fride, “Canada is the third most important provider of democracy assistance” to Venezuela after the U.S. and Spain. Burron describes an interview with a Canadian “official [who] repeatedly expressed concerns about the quality of democracy in Venezuela, noting that the [Federal government’s] Glyn Berry program provided funds to a ‘get out the vote’ campaign in the last round of elections in that country.” You can bet it wasn’t designed to get Chavez supporters to the polls. Ottawa is not forthcoming with information about the groups they fund in Venezuela, but according to disclosures made in response to a question by former NDP Foreign Affairs critic Alexa McDonough, Canada helped finance Súmate, an NGO at the forefront of anti-Chavez political campaigns. Canada gave Súmate $22,000 in 2005-06. Minister of International Cooperation José Verner explained that “Canada considered Súmate to be an experienced NGO with the capability to promote respect for democracy, particularly a free and fair electoral process in Venezuela.” Yet the name of Súmate leader Maria Corina Machado, who Foreign Affairs invited to Ottawa in January 2005, appeared on a list of people who endorsed the 2002 coup against Chavez, for which she faced charges of treason. The simple truth is that the current government in Ottawa supports the old elites that long worked with the U.S. empire. It opposes the progressive social transformations taking place in a number of Latin American countries and as a result it supports civil society groups opposed to these developments.